If we had to make a list of “most underrated cleaning services,” window cleaning would probably be close to the top. We’re not talking about the occasional scrubbing you take to your windows — we’re talking about an actual professional job where those lovely glass panes are given the comprehensive treatment that they deserve. Indeed, for most people, the occasional wiping of windows is enough. 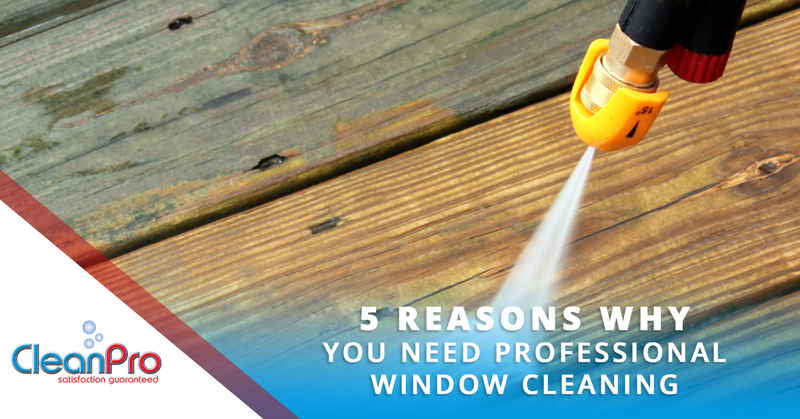 But, as it turns out, there are several compelling reasons to keep the windows squeaky clean in your commercial building. Here are some reasons why you should consider calling a window washing service for your Gloucester home or building! If you live in an office building, you want the indoor air quality to be the best it can be, as pathogens and germs can easily spread in a group setting, and you want to avoid waves of sick employees whenever you can. At home, that’s where you spend most of your time, so it also behooves you to have healthy air there too. Let’s be honest — you should really just be striving for healthy air no matter where you are. Well, your windows might not be helping with that. Did you know that the dirt, grime, and moisture that accumulates outside can actually find its way into your home and degrade the air quality? As much as you’d like to believe they are, most windows are not completely airtight — even if it’s impossible for our senses to notice. Particulates can and do get through, and this is the most true with mold. Mold just loves to grow everywhere it possibly can, and if you’ve got icky stuff building up outside, it could very well spread indoors after a while. Yuck! Unless we’re talking about a one-story building, it’s pretty hard to say with a straight face that it’s not at least a little dangerous to clean the outside windows. Once you get to the second floor, things get a lot sketchy, and of course, this only becomes more true the higher up you go. And yet, exterior window cleaning jobs can make a world of difference — there are only so many times you can clean the windows inside, but after a certain point, it won’t make much of an impact if the outside window has built up dirt and dust. At that point, you have a choice — call a professional cleaning company who can safely service your windows, or brave the danger yourself. We warn you that the second choice is generally a terrible, terrible idea. 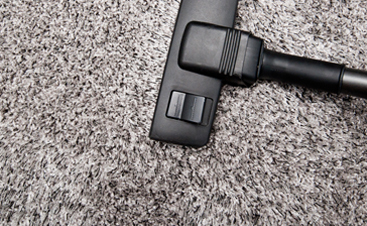 At Clean Pro, we’re certified experts and we’re well-trained in our craft. We know how to do every job with safety and efficiency, and you can have the peace-of-mind knowing that there aren’t going to be any fatalities on the job. What a relief! Like we mentioned above, it’s easy to assume your windows are clean if you’ve been regularly touching them up inside. But a commercial building can go months and months without a window cleaning outside, and once those glass sheets are finally scrubbed down, you’ll notice a world of difference. While it takes a lot to truly obscure a window, the reality is that residue builds up, very slowly, over time. A combination of moisture and dust hits those windows on a daily basis, and even if they look nice and transparent, there’s more than likely a film that has built up outside. When you wash this all away, the results can be astounding! For a time, the view will be crystal clear, and your reflection on the glass will be more pronounced than ever. The difference isn’t always tremendous, but even if it’s subtle, it can have a positive impact on the people inside your building. If you haven’t gotten your windows washed in a while, now is the time! One of the other big benefits of clean windows is that they, believe it or not, improve the heat efficiency in your building. The sun’s UV light is a very particular thing. It touches just about everything on our earth, but it can be blocked by the simplest of measures — one application of thin sunscreen shields your skin from the sun, and so, it seems, does the thin film of grime that builds up on windows. Indeed, if your window has particulate matter building up on it, it can actually greatly decrease the UV exposure that your office gets, and this means that it’s going to be less warm. In Massachusetts, we take all the warmth and sunlight we can get during the winter and early spring, so getting your windows cleaned around this period can be a boon to your employees and your HVAC system! Do you need to get your windows cleaned? Have the points made in this list convinced you that there is nothing that could possibly be more important? 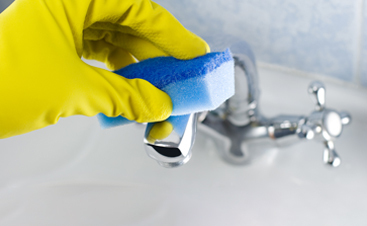 Well, if you’re in Gloucester, or any of the surrounding regions such as Essex, Manchester, North Shore, and greater Boston, you’re in luck — Clean Pro happens to be one of the most experienced and qualified cleaning companies in the area, and we’d be happy to provide our services. Window washing is just one of the many services we offer. Do you need a more comprehensive cleaning or restoration job aside from just cleaning the windows? 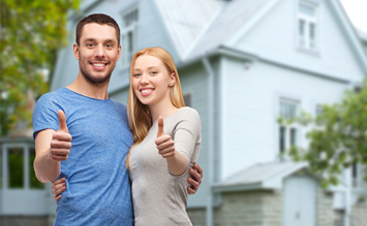 We’d be happy to give you a free quote. All you have to do is contact us today!